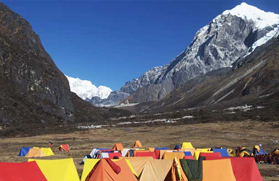 Dzongri Nambu Trek offers an intriguing experience of trekking amid the nature's exquisiteness in Sikkim. 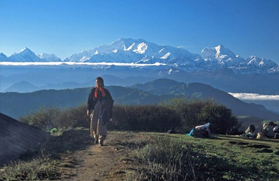 This trek begins from Yuksom. The trek takes an adventure buff to some of the most arresting panoramas endowed by the nature. 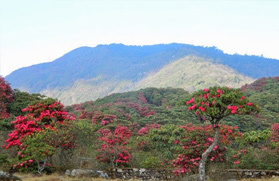 The verdant rhododendron forests make the trip even more gratifying. 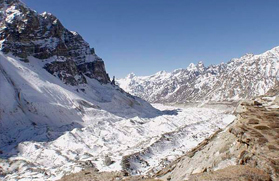 On the route, one can come across the imposing peaks of Singalila, Kabru, Frey and many more. 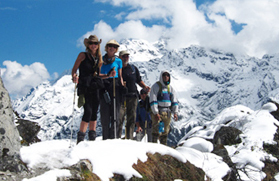 In addition to this, the novice trekkers can carry it out as well. 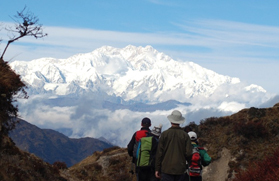 In short, Dzongri Nambu Trek is one of the most exciting treks in Sikkim and is perfect for novices and veterans alike. After arriving on the Bagdogra Airport, meet our representative. It will be followed by the drive to Gangtok. In evening, you are free to enjoy your own activities. The dinner and the overnight stay will be at the hotel. 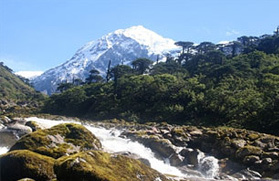 Today we will take our excursion to the base of our trek- Yuksom. We will reach Yuksom by evening. The dinner and overnight stay will be in the guesthouse. The local market is the starting point of the trail to Yuksam from where we will head towards the north. 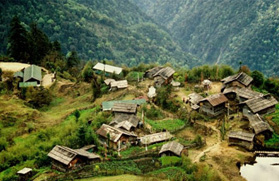 The trekking route will make you climb out of the valley and then we will proceed to the rightward bank of Ratong Chu River. This river is an imposing place to visit and its rumbling can be heard through the ravine. Now, we will take our heads over four bridges from where we will scale northwest to Bakkhim, which is a small habitat region. We will walk 3 kms from here to reach Tsokha. During this trail, we will pass through lush woods of rhododendron and magnolia. Here, we will arrive our campsite and enjoy the dinner along with an overnight stay. This is the day when we will head on the trail that passes through Tsokha Village. The route then scales to north and will take you through the rhododendron forest. 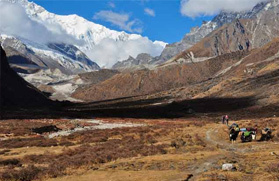 We will reach alp of Phedang (3650 meters) that takes around 3 kms of ascent. From here, we will move towards Dzongri, where we will reach our campsite for dinner and overnight stay. Day 05: Dzongri - Bikhbari 4 Hrs. The trail starts with a walk through slow slope to arrive at Gigev Dara. It is the point to relish the vistas of some imposing Singalila ranges such as Rathong, Kabru north and south and Frey Peak. Day 06: Bikhbari - H.M.I base camp 4 Hrs. Between the two valleys, a walk offering the amazing sound of far-flung Rathong Chu River takes just below the base camp. It requires a bit of steep hiking. We do the overnight stay at this campsite. One more arresting option is to camp near the bank of river. Day 07: Base Camp - Tigabla (3825 m) 5 Hrs. The trail begins a straight mounting trek that ends with an easy path. One reaches to the base camp here. At this camp we can come across the fundamental training of rock climbing provided to novices in climbing. One can also witness the small lakes among which Dud Pokhri is the major attraction. Then, we return to the camp to enjoy lunch. After having lunch trek to Tigibla, which begins with a steady ascent and reaches to Dearali Dara. 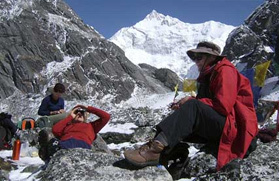 From here, one can savor the engrossing sight of Kabru north and South, Pandim, Japuno, Goecha Peak and Tinchinkhang. One has to do another sheer trek to arrive at Tigibla. Day 08: Tigabla - Yangseb (4300 m) 4 Hrs. Today we ascent straight in the hill and trek through the lush forest to reach Yangseb. This trail is significant for the botanists as it is flanked with dense rhododendron forest. Day 09: Yangseb - Gomathang (4735m) 3 Hrs. It is again a walk, which is somewhat similar to the previous one and we move down to reach one of the most intriguing camps of the whole excursion. Here, we camp over night on the bank of river. Day 10: Gomathang - Neil Pokhari - Gomathang 5 Hrs. We walk a soft slope to reach the lakes Kal Pokhari, Majur Pokhari and Neil Pokhari. From here, one can relish the fascinating vistas of Nepali Peaks. It is around 6-hour excursion in the day and we arrive at the camp. Day 11: Gomathang Yambung (3735) 5 Hrs. This time we begin again with a manageably sheer trek after arriving at Dalphey Bhir. 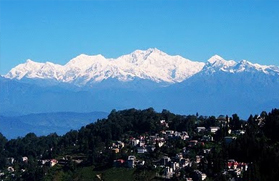 It is a downward trek from where one can witness the gripping view of Singalila, Darjeeling and Palling. 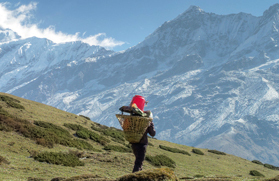 We arrive at Yambong by walking on the sides of Lampokhari and Kalpokhari lakes. Day 12: Yambung - Chauri (2175m) 5 Hrs. We start with easy trek downwards through banana groves and cardamom farming. After some instants, we reach a primary school. It's merely an hour trek to Chauri after passing the RCC Bridge. 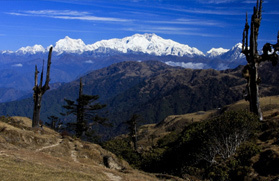 Day 13: Chauri - Nambu - Pelling 4 Hrs. trek 1 Hrs. Drive. From Chauri, we descend down to Rimbik, which is a small village. We then proceed to cemented steps on foot. 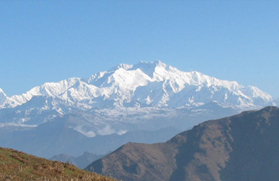 To arrive at our last destination of our unforgettable trek i.e. Nambu, it takes around one and half hour of climb on these cemented steps. Nambu is a small settlement that abodes around fifty houses with grocery shops and small restaurants. 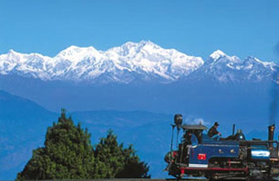 It is around 45 minutes of drive from Nambu to reach Pelling. After enjoying breakfast, drive to Bagdogra Airport to take onward flight.